Service from experts you can rely on - we have been helping publicans both find insurance and finance for many years - so when you are looking to insure your pub let us help you. 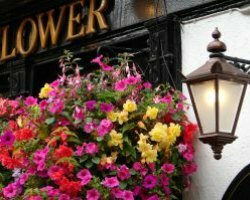 Pub insurance needs to reflect the type of pub you are running, whether a family business, city centre night time orientated pub, country eatery or bar with all night licence. It needs to offer comprehensive cover, from liability cover in case a customer slips over at the door or a member of staff injures themselves to insurance covering the cash on the premises, or perhaps in transit to the bank. Policies come in all shapes and sizes, but the most popular offer good standard cover, with additional upgrades to cover more specific risks that may, or may not be appropriate for you. Optional upgrades can cover those offering nightclub activities or live entertainment, extended contents cover, public and product liability insurance, loss of income cover - even the loss of your drinks licence. Of course you can be covered both for the bricks and mortar of your pub, and the contents, not just those which are to do with the business, but to cover your personal possessions if you live in as well. To get us searching our appropriate insurers, just click on the Get a Quote button above and a panel of specialist insurers will be on the case in minutes!